The hypergrid is a bunch of virtual worlds — more than 200, by last count — that allow avatars to travel between them. Any OpenSim-based world that is connected to the Internet can be on the hypergrid, simply by enabling that setting when it is configured. To travel from one world to another, you must first start out with an avatar on one such world. 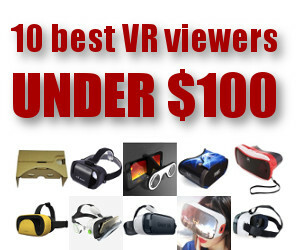 We recommend OSgrid, the most popular. Here is a list of the others, sorted by popularity. Most hypergrid-enabled worlds allow you to create a free avatar and join the world. 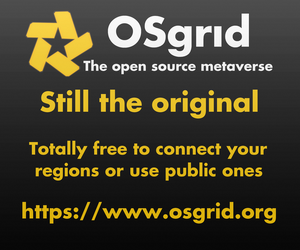 Here is the OSgrid page for new members. You can use any name you’d like for your avatar name, including your real name, and you can have as many different avatars as you’d like. 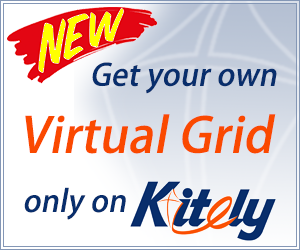 If you are creating an OpenSim avatar for the first time, another good place to start is Kitely, a popular commercial grid. Not only is Kitely hypergrid-enabled, but a Kitely avatar also gives you access to the Kitely Market, OpenSim’s biggest content marketplace. 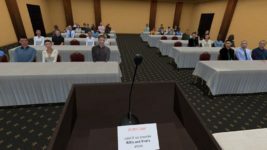 The most popular viewer for OpenSim is the Firestorm Viewer, which is available for Windows, Linux and Mac. 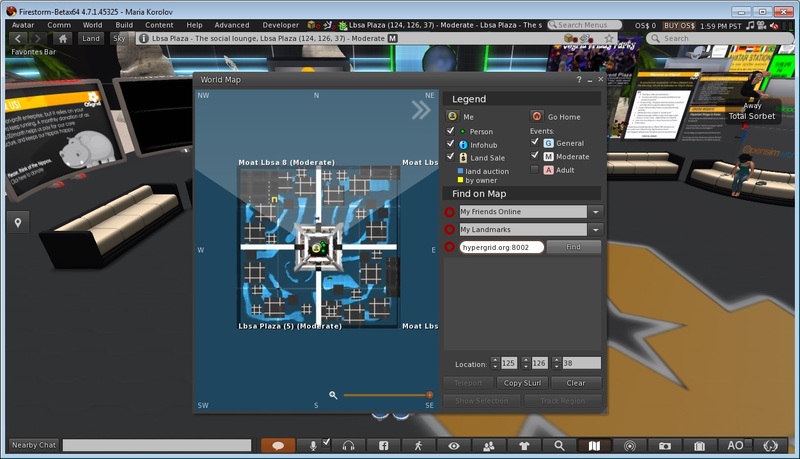 If you plan to explore the hypergrid with the Oculus Rift, you should use the CtrlAltStudio Viewer. When you first open the viewer, there is a “Log into grid” drop-down menu at the bottom center of the screen. 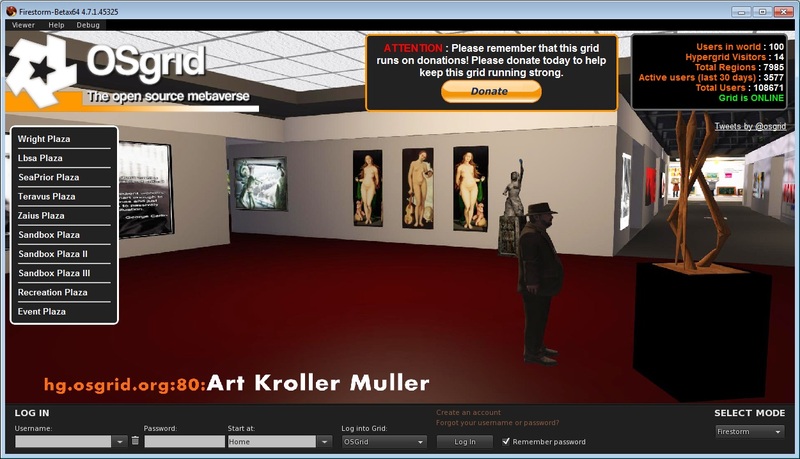 Select OSgrid, if that is the grid home you chose for your avatar, then enter the avatar’s name and the password and click to log in. Kitely is also one of the default options. Log in and look around. Go through a tutorial to learn how to move around and change your appearance. Make some friends with other residents and pick up some freebies to outfit your new avatar. Now pick a new destination to go to. 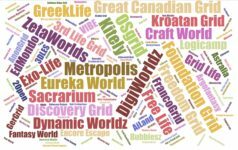 Hyperica and OpenSim Worlds are two of the biggest hypergrid directories. 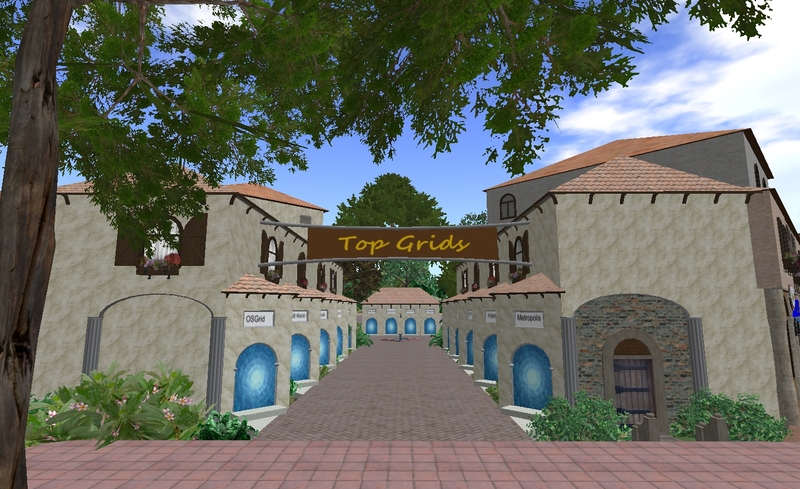 Also check out our Freebie shopping destinations and Gloebit shopping destinations lists and our Popular hypergrid worlds list. 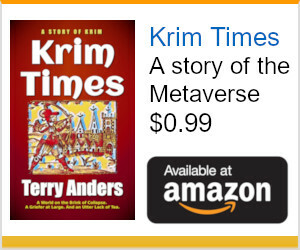 But why not visit Metropolis, the second most-popular world on the hypergrid? It’s a European grid, based in Germany. 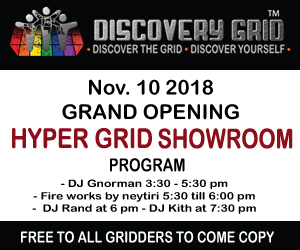 Its hypergrid address is hypergrid.org:8002. In your viewer, pull up the Map window by clicking CTRL-M, then paste the address into the map’s search box and hit “Search.” Once the destination is found, select it, and click “Teleport.” You will now travel via the hypergrid to Metropolis. Once you land there, you’ll find that you can continue to send messages to the friends you made on OSgrid or whatever your home grid is and to access your inventory. Plus, you can make new friends on Metropolis, join groups, even go shopping or pick up freebies and bring them back home to your home grid. You can also save landmarks of your favorite destinations. Hyperica is a grid with an in-world hyperport as well as an online directory of destinations. 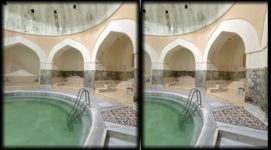 There are two other ways to travel, besides using the hypergrid address. You can also use landmarks you’ve saved previously, or that were given to you by friends. And you can use hypergates to travel from one world to another. Some popular places to find gates to other worlds include the Hyperica hyperport at hg.hyperica.com:8022, Soloton at soloton.selfhost.eu:8002, and Sanctuary, at sanctuary.homelinux.org:8012:Eld.